Throughout its history, the Iowa Motor Truck Association has faced some challenges yet also celebrated many tremendous victories. It’s certain the association’s founders would have never imagined some of the transformations and accomplishments the IMTA has been able to achieve over its many decades of existence. One of the most visible accomplishments for this vibrant organization came in 1995 when ground was broken to construct the IMTA headquarters building at the foot of our great state Capitol. This was a pivotal moment for Iowa’s trucking industry and a resounding illustration of the industry’s accomplishments and contributions to the state of Iowa. 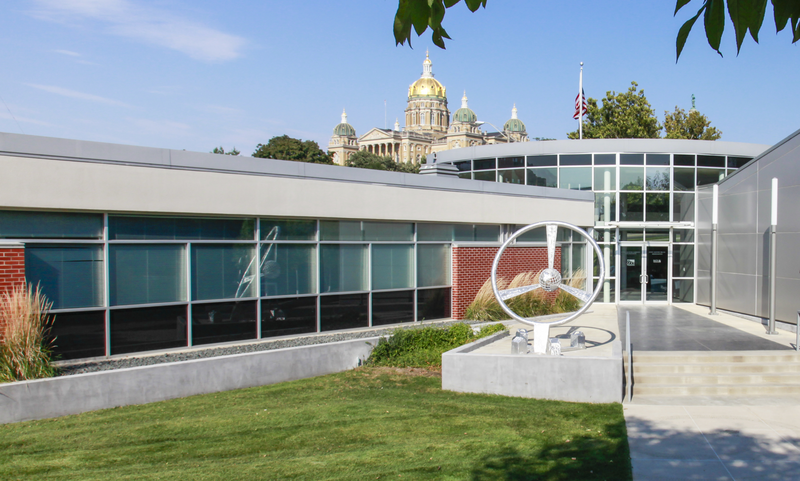 The construction of the 10,000-square-foot building was a testament to the trucking industry’s effective leadership and dedication to serving its members, as well as the citizens of Iowa. A statement was made, the trucking industry was a solid and reliable source of delivery and it took this role very seriously. Today, the IMTA headquarters continues to be a source of pride and continued demonstration to the industry’s presence in the state of Iowa, serving as a strong and dependable anchor to the state’s economy and continued vitality.